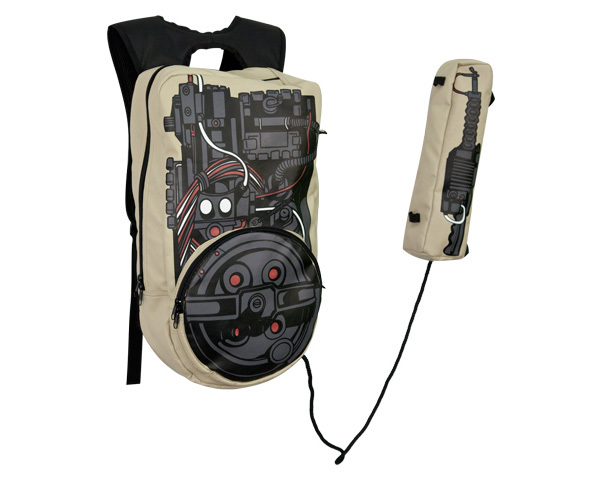 If you’re ever in the mood to wear a backpack that looks somewhat like the proton pack from the movie Ghostbusters, my first advice would be to tell you that it’s time stop eating tater tots, playing all night Call Of Duty sessions and living in your mommy’s basement. But then the next thing I’d tell you is that this one measures about 21″x14″ and will run you about $40. Yup, time to stop lurking those Game Of Thrones chat rooms, get a job, and justify your actual existence on this planet, big boy. I must agree. To want to use a ghost buster backpack is so 80s. There are much better and more macho alternatives.